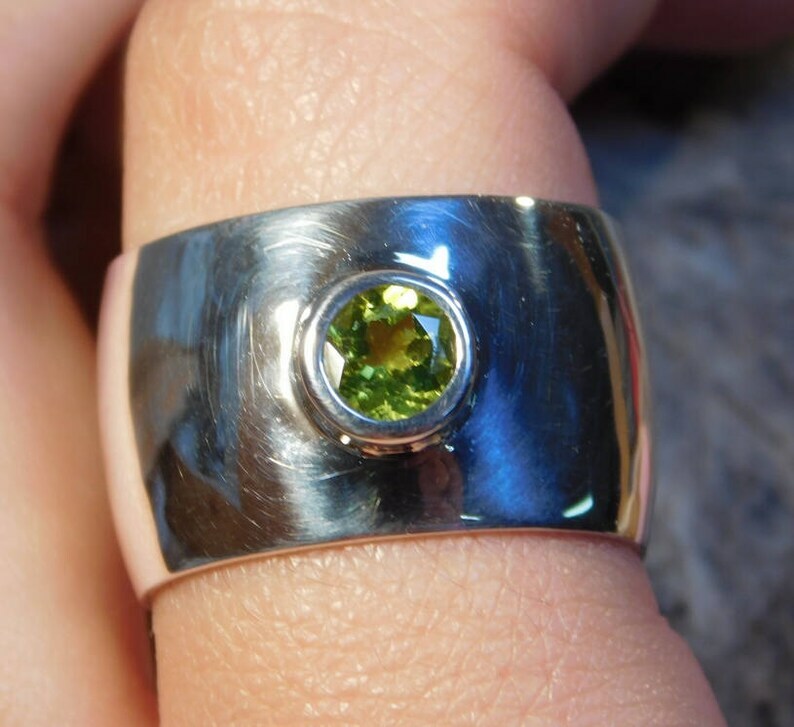 This ring is shown with a 6mm round Peridot bezel mounted on a 13mm wide sterling silver wide band. I can make this with other stones, different size stones and different width of ring. Custom orders welcome and we can also mount your stone.